The National Museum of the United States Navy, located within the Navy Yard National Historic Landmark, is currently undergoing foundation repairs. 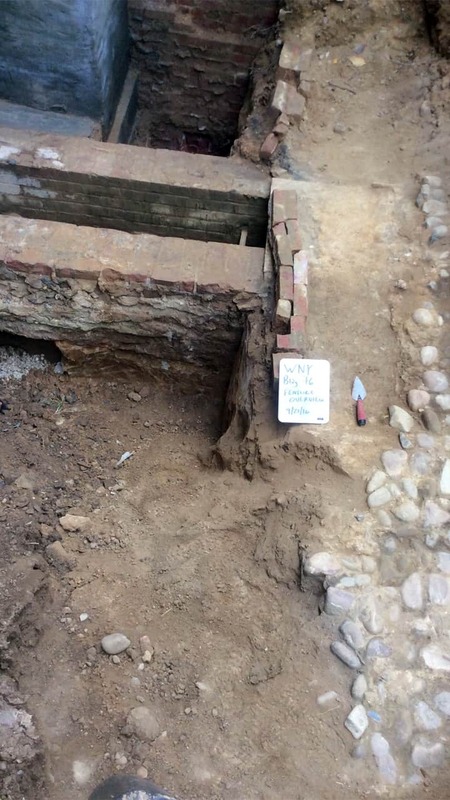 The District of Columbia State Historic Preservation Office (SHPO) reviewed the project undertaking and issued a conditional finding of no adverse effect for archaeological resources. SHPO’s no adverse effect condition requires a qualified archaeologist to be on site to monitor the excavation in case intact archaeological resources are encountered within the project area. 106 Group archaeologists prepared a monitoring plan and are working with the excavation contractor to identify any archaeological features exposed by the repair work. Two historic features have been exposed to date. We are working with our client, the Navy, and the SHPO to identify and implement an appropriate mitigation strategy.